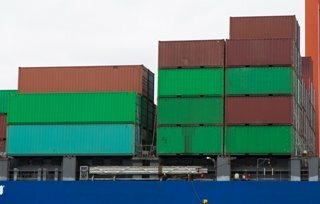 How Big are Shipping Containers? While the standard cargo container sizes may be commonplace today, they didn’t happen overnight. A lot of thought and effort went into developing the standard ISO container sizes that first came into play in the transportation industry and now have come to serve as components in creative and eco-friendly homes. Shipping before standard-sized containers was a long and arduous process, the World Shipping Council notes. Cargo on ships was transported in various-sized barrels, boxes and crates which were unloaded individually by hand or pulley systems. Horse and rail cargo enjoyed boxes similar to containers used to today, but they didn’t have a standard dimension for easy use across the board. All that was about to change when a North Carolina trucking entrepreneur named Malcom McLean purchased a steamship company and came up with the idea of moving entire truck trailers with their cargo still inside. The concept of leaving cargo inside containers and simply moving the entire container from ship to rail or truck became known as intermodalism. Not only would this idea significantly improve shipping efficiency, but it would it greatly simplify the entire logistical process. Instead of cargo being laboriously unloaded from one mode of transportation to another, the entire container could be seamlessly relocated and sent on the next leg of its journey. Two US companies helped pave the way for standard shipping container sizes used for intermodal containerization. One was McLean’s Sea-Land, formerly known as Pan Atlantic, which initially operated out of Newark and other eastern ports throughout the Northern Atlantic. The other was Matson, established by Captain William Matson, with routes that stretched across the West Coast to Hawaii. 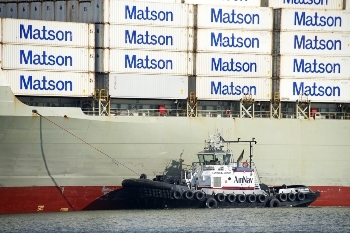 McLean devised a ship-to-truck plan that would require shipping containers to be standardized. An Interstate Commerce Commission regulation barred McLean from owning both shipping and trucking businesses at the same time, but his knowledge of the trucking industry helped him forge relationships with trucking companies willing to work with the standard size he dictated for his ships. His standard shipping container was a steel box measuring approximately 35’L x 8’W x 8 ½’H. The size and material worked best for the merchandise he carried, the retired World War II ships he was using and the dimensions required for truck and railroad beds. Through extensive operations research on an early IBM computer, Matson discovered the ideal shipping container size would be 20 feet long. 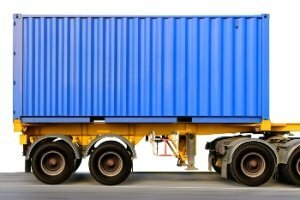 Anything over 25 feet would end up wasting space on the average shipment, and anything under 20 feet would hold less cargo and cost more to handle. The American Standards Association (ASA) got into the act in 1961, but without conversing with McLean or Matson. It suggested four standard storage container sizes increasing in 10-foot increments, with containers measuring 10 feet, 20 feet, 30 feet and 40 feet long. The International Standards Organization (ISO) hopped on the bandwagon a few years later, taking ASA standards and European railroad dimensions into account. The eventual end result was the five standard lengths we find in today’s modern containers. The most common sea freight container sizes are those measuring 20 or 40 feet long, although the 48-foot length is also popular. Shipping industry lingo refers to all statistics and containers as TEW, which means a 20-foot container. If you hear people mention a 2 TEW, for example, they are referring to a 40-foot container. You may run across a few other industry terms or abbreviations. GP means “general purpose,” and it’s used to designate a standard container. HQ or HC stands for “high cube,” which is a container that is 1-foot higher than the standard GP. You may also hear the term half-height, referring to a container that is half the height of the standard. Containers that are 20 feet long are available in standard and half-height dimensions. The half-height versions often feature an open top or otherwise serve as a cargo basket with the option of an open top for quick loading and unloading of various-sized items. Standard 20-foot containers have a door at one end while open top containers do not. Containers in the 40-foot range come in standard and high cube varieties. They are fully enclosed and feature a door at one end of the container. Containers that measure 45, 48 and 53 feet in length are available in the high cube variety, with a shipping container height and door height that is 1 foot taller than the standard container height. 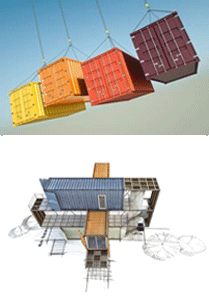 The shipping container specs best suited for a shipping container home depends on the design of the house and the intended use of each individual container. If you were looking to create a living and dining area, for instance, a 48-foot container could provide adequate space. A smaller bedroom may work with a 20-foot container. Don’t forget you can always subdivide a single container into multiple rooms or areas to specifically suit your purpose.